Janie Bress - My North Shore Blog: Celebrate the 4th on Chicago's North Shore! Summer is in full swing and Chicago’s North Shore is showcasing a wide variety of events and festivals that highlight each communities’ unique atmosphere. It’s hard to believe that June is nearly over and that the 4th of July celebration is just around the corner! As a North Shore Real Estate agent, it’s always fun for me to be able to tell those interested in moving to the North Shore about the great lifestyle that’s offered. If you are relocating to Glencoe, Deerfield, Northbrook, Highland Park or Winnetka; you’ll want to visit this coming holiday to experience the vibrant community of each city. For those of you who currently live in one of the beautiful homes along the North Shore; you’ll also want to be sure to take part in these upcoming 4th of July events! - Don’t miss out on the 49th Annual Deerfield Family Days on July 3rd and 4th! These fun-filled days offer a range of activities! 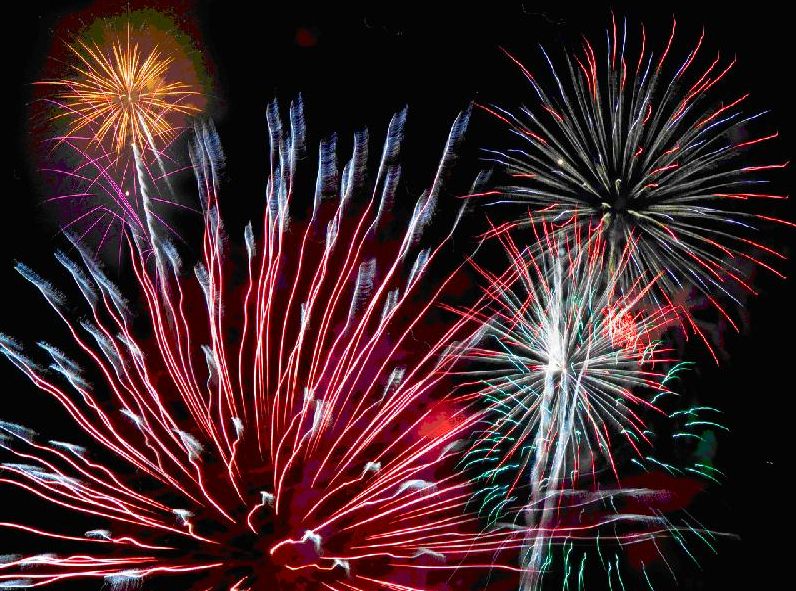 Fireworks will take place on July 3 at 9:15pm at Brickyards Park and are sure to impress! On July 4th, kick your day off with a pancake breakfast and an arts and crafts show you can peruse throughout the day. The Deerfield Rotary Club 10K/5K race/walk will begin at 8am and offers a chance for all fitness levels to be involved! The rest of the day is filled with the beloved bike parade, petting zoo, pony rides, live entertainment and much more. You'll enjoy this family friendly weekend in Deerfield! Check out the Deerfield Family Days website for more information or view the entire Family Days schedule. - The Glencoe 4th of July Celebration will be extra special this year as it honors the Park District’s 100th Anniversary! The day feature a 2 mile rotary fun run beginning at the train station at 8am, followed by the Art Fair on Village Green at 10am. Children’s games and a carnival will fill the rest of the morning leading to the July 4th Village Parade at 2pm. A variety of great activities will continue throughout the day, with the highlight being the fireworks display at 9pm on the Glencoe Beach! View the entire schedule here or visit the Glencoe Park District website. - Kick of your 4th of July celebration in Northbrook with Pancakes in the Park! This annual breakfast will take place in the Village Green Park from 7am to 11am. During this time you’ll also be able to take part in family games, enjoy live music and watch the annual Police and Fire Department Softball Game. The day will be filled with great activities, such as a bike parade and the parade at 2:30pm, and end with fireworks at 8:45pm at the Velodrome on Maple Ave.! Don’t miss out! Learn more by visiting the Northbrook July 4th website. Of course these are just a few of the highlights of things taking place this 4th of July along the North Shore. I hope you’re able to take part in one of these celebrations as they’re a great way to gather with family, friends and neighbors and celebrate our nations’ freedom! As always, feel free to let me know if you have any questions about living or buying a home on the North Shore. I’d love the opportunity to talk with you and show you some of the stunning homes currently on the North Shore Real Estate market. Nice post!! Good to see the celebration of 4thJuly. I also celebrated it at one of San Francisco event venues. Saw some best arrangement ideas from a blog and implemented them for the party. My guests liked my arrangements and enjoyed the day.